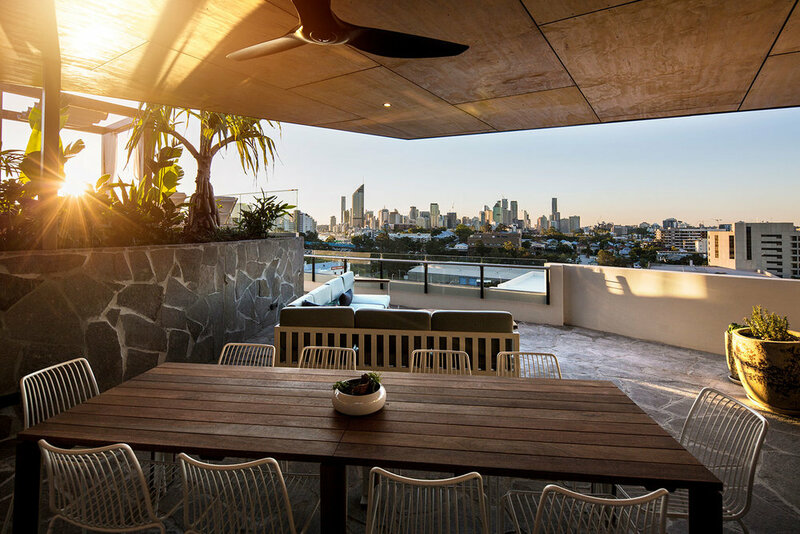 As densification of Australian cities increases and more people become apartment-dwellers, the role of the typical Australian backyard needs to evolve. A once totally private space, the idea of the backyard now needs to embrace shared space, where many people can be together but experiencing some of the same quality of privacy afforded by the traditional backyard. 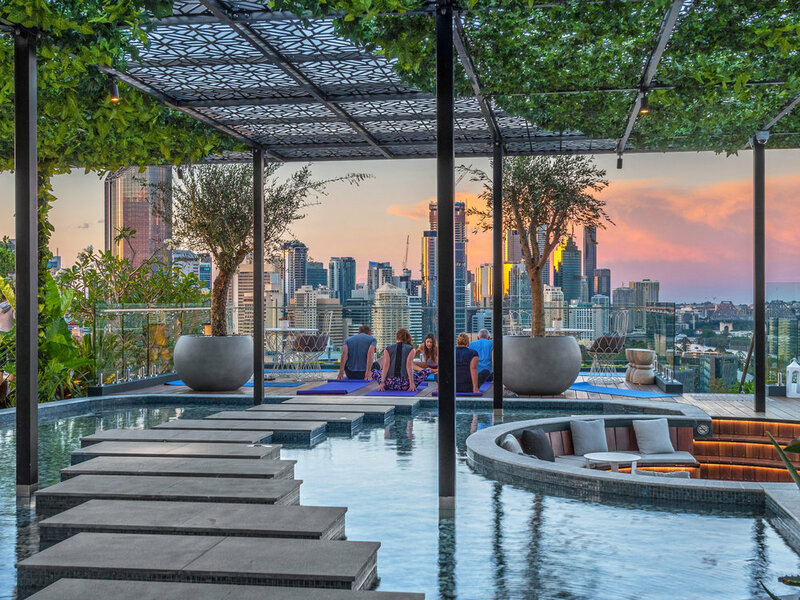 The New Backyard is a vibrant example of how shared rooftop gardens can help to increase inner urban greenspace and improve the wellbeing of residents. A work of consummate skill, it is hoped that this project will be a catalyst to increase a greater connection to natural elements in future multi-unit residential development and shine a light on how effective rooftop gardens can be in a sub-tropical climate.